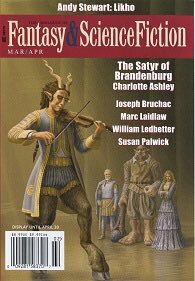 It seems that my story, "A Dog Of Wu," [@fandsf March/April 2018] has been cataloged at libraries for Laredo College in Texas [under "dystopias"] and Universided del Sagrado Corazón in Puerto Rico [under "master-servant relationships"]. Stories are like beach sand. They get everywhere. 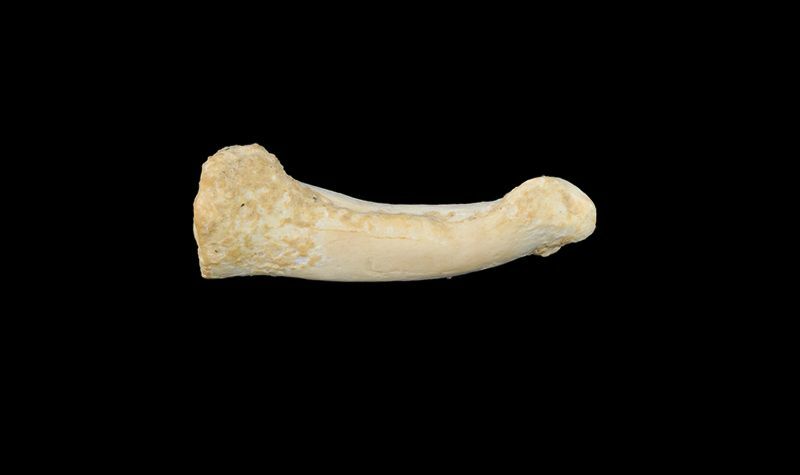 They've found new bones in the Philippines - maybe a new species: Homo Sapiens Luzonenis. 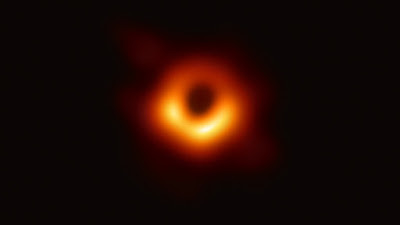 Add it to Homo Sapiens Denisova, Homo Sapiens Floriensis, and Homo Sapiens Naledi. All recent [geologically speaking] and all...extinct. We meet again, old comrade, old enemy. For you I have broken elevator holds. For you I have swallowed pills. One day, my back shall be as dust. What will you do then? Eh? Victory shall be mine, even as the worms devour my flesh. Thank You for Your Patience. Let's Talk Rome. Hey, gang, sorry it's been a while. But life, right? I've been rewriting the second novel, working on a sequel to TWS, working on a couple of short stories, not to mention life stuff with which I shall not bore you...I know, excuses, excuses. 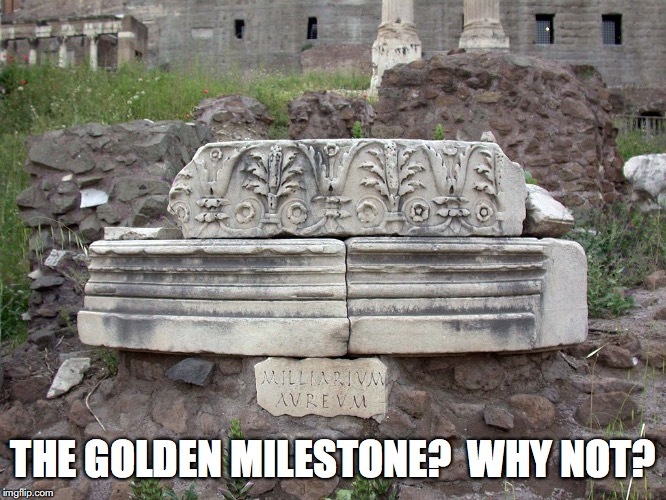 So...I'm still not completely up to speed, but I've got some fun facts about Rome. Rome's cool, right? 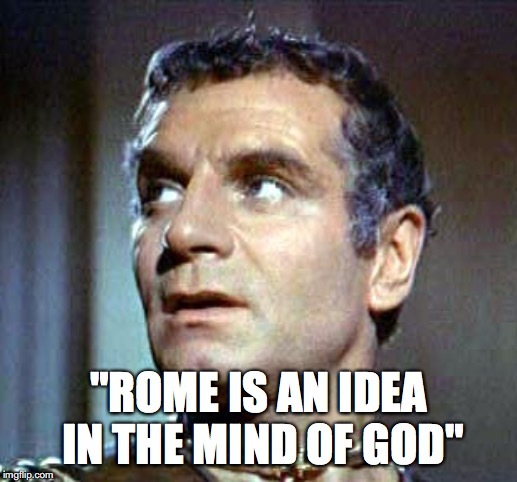 So let's TIL Rome. The Roman legionary camp was essentially a city that they carried with them and then built wherever they needed it. The plan was unvarying and included a market square, a space for sacrifices, and a giant surrounding wall. Every soldier knew where he bunked in that camp - even when the camp didn't yet exist. It was a model in their minds. Also, five hundred years after the fall of the Western Empire, and even though their daily language and culture were medieval Greek, the Byzantines referred to themselves as Romans. So did the Muslim world. Today "All roads lead to Rome" means a lot of different routes can lead to the same place. Originally it wasn't a proverb; it was the literal truth. 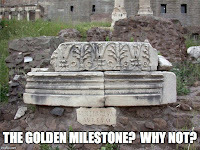 The Romans were the best road builders the Western world have ever seen to that point, and all their roads - even those as far away as Britain and Turkey - were measured from the "Golden Milestone" set up in Rome's main market. A Roman road was basically a well-built stone wall buried dozens of feet in the earth so travelers could walk on top of it. They're still around. Judas may have been called Iscariot because he carried a sica, a curved short sword that was considered dishonorable by Romans. Because it was light, concealable, and made it easy to carve an unarmored opponent, it was considered the weapon of assassins, cutthroats, and domestic terrorists. Iscariot = knifeman. 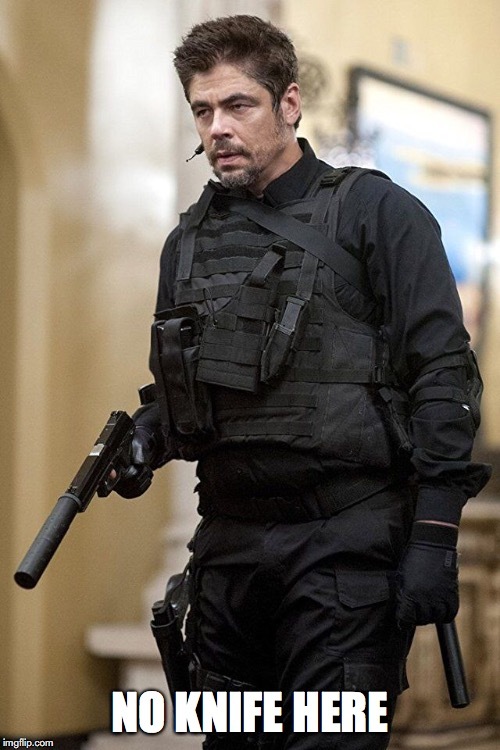 And these days, sicario still has that meaning, kind of. Those are things you know now.